MiClub will be deploying a new update to support Maximum Score in our Competition Management module. This will be released in early 2019 to all clients at no additional fee. New “Maximum Score” (Stroke) competition type. Set maximum score based on Nett Par or a fixed number. New stroke scorecard template for MiScore and Autoscore that prints max stroke value. Control which club events to apply maximum score setting. Only supports individual Stroke competitions – Nett or Gross. Count-backs will reference max value scores applied, while Eclectic competitions will NOT reference max hole scores applied. 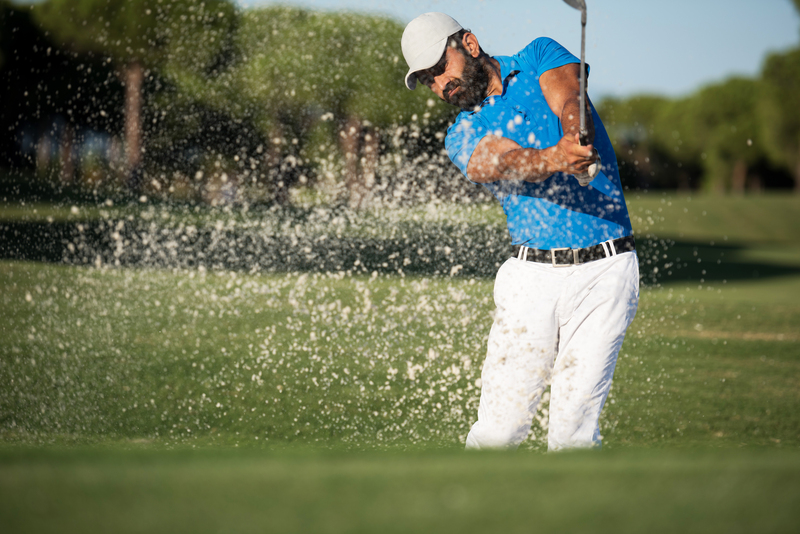 Offer members the chance to play stroke without fear of disqualification from picking up. Maximum Score is a new form of Stroke play where a player’s score for each hole is capped at a maximum set by the Committee. Using MiClub software, this can be related to Nett Par (+3 on Net Par). A player who does not complete a hole (often referred to informally as “picking up”) will not be disqualified, but simply gets the maximum score for the hole. The new competition type will apply a +3 hole score by default on a player’s Nett Par against all course, tee, or hole configurations in the system. Susie Bunker is a 36 handicapper who does not feel ready to play Stroke events without being disqualified from picking up. Susie’s Club has just introduced a new Maximum Score Stroke event which she decides to enter. Her Committee has set the maximum hole score to default (+3 on Nett Par). The first hole in the event is a Par 4. This means Susie’s maximum on hole 1 will be 9. Furthermore, If Susie was a scratch player, her maximum score on hole 1 would be 7. If Susie wipes a hole in this competition type, a maximum score value will be allocated to the hole which automatically ensures that she will not be disqualified. Additionally, if a she holes out above the maximum number of shots on a hole, the system will still cap the score and apply the maximum score value allocated instead. Clubs will be able to control which Stroke events to apply the Max Score setting. For example, a Club may wish not to apply this setting for Club Championships. When creating a competition and the “Gross” or “Nett” competition types are selected, an additional field option under “Scoring and scorecards” will appear by default with “Max Scores Enabled = On”. MiClub will initially only support the Max Score setting for individual Stroke comps that are Nett or Gross in nature. This may be extended to include Stroke Fourball and Foursomes in future phases. 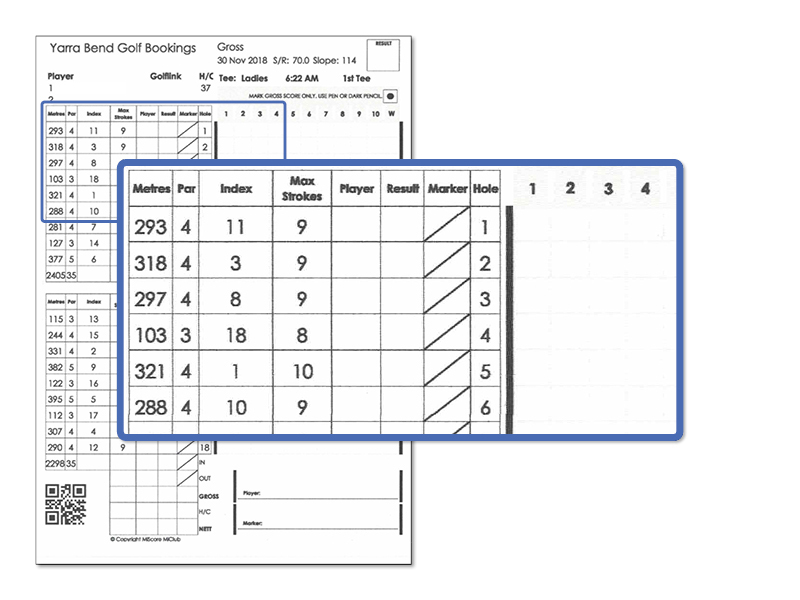 New Stroke scorecard templates will be available for MiScore and Autoscore that print the maximum score value per hole. These templates can be requested via MiClub support, otherwise existing scorecards can be used. MiClub have also adapted the kiosk score entry screens so that even when a player wipes a hole, or holes out above the max hole value, the total is calculated with the maximum score value where required instead. The system will apply a special character “^^” on each hole and total score where a player has had a max score value applied. This will display on the leaderboard, competition reports and score entry screens. MiClub will ensure the “adjusted” score where a maximum hole value has been applied will be the competition score submitted to GolfLink for handicapping.